Edit: As of July 2015, the Limited Editions are sold out. Edit: Thanks for making our preorder campaign so successful! We still have a few Limited Ed. Artbooks left (as of 2 April, 2015), and have added the vinyl edition on black vinyl. Prices and availability subject to change without notice. 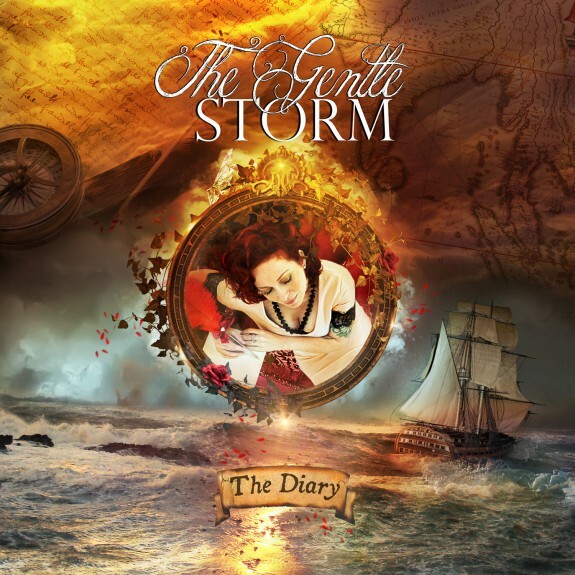 The Gentle Storm is Arjen’s project with vocalist/lyricist Anneke van Giersbergen. Pre-orders of The Gentle Storm “THE DIARY” are going on now in the Arjen Lucassen Store. All copies of the album will be signed by both Arjen and Anneke. Orders will ship the week of the release date, which is 23 March 2015. Head on over to the store and check it out!